After much waiting, Volition has finally come out with another game full of humor, slapstick, and unnecessary violence. No, it isn’t the much sought after Saints Row sequel the people have been clamoring for, but instead, it is something new in a new direction. Extending from an alternate universe presented in Saints Row: Gat out of Hell, Agents of Mayhem is an homage to Saturday morning cartoons of the 80’s and 90’s with over the top characters and off-color PSA’s every time you reload back to the ARK. It might not have humor everyone can enjoy, but the combat is solid and the colorful cast is wonderful. Check out our full video review for Agents of Mayhem below. 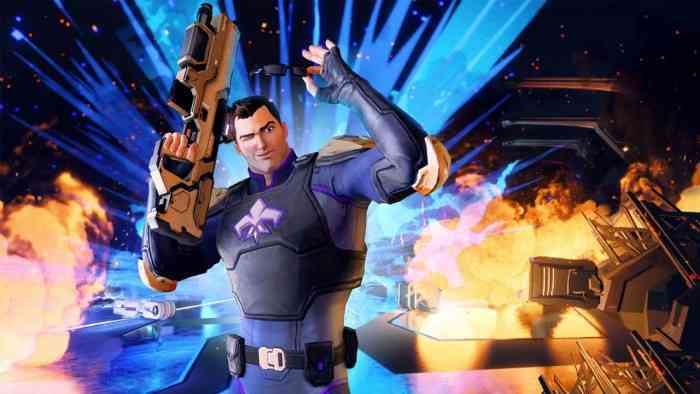 Agents of Mayhem sees players control a squad of up to three agents they can swap between on the fly as they take on the armies of Legion, an evil organization like an over-the-top version of Cobra or Hydra. Legion aims to use dark matter for nefarious purposes and has set up shop in Seoul, South Korea where the Agents of Mayhem now reside to thwart their enemies. The game is light on plot and heavy on one-liners, explosions, and fast cars. It cashes in on the nostalgia of G.I. Joe and Knight Rider, then mixes it with current day comedy like Archer. If you come into Agents of Mayhem expecting a thought provoking and intensive experience, this probably isn’t the game for you. If, however, you want to some exploding dive-bombing doves or rapid fire remote explosives, this is right where you want to be. Agents of Mayhem released in North America on August 15th for PC, PlayStation 4, and Xbox One.